I might say that Cici’s Pizza is the best buffet in the USA, but it’s Golden Corral’s tagline, so I’ll go with it for the purpose of this blog entry. 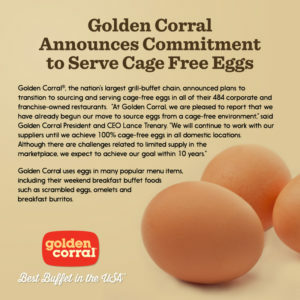 Who knew that Golden Corral had the best menu for the dietary-conscious? We haven’t been to one in years, so I’m not sure how long this innovative digital menu has existed. After being invited to a farewell lunch for our cousin, Nikki decided to see if their website had any dietary info. She discovered the menu “that all restaurants should have.” Why is this online menu the Holy Grail? When you go to the website, click on the image that says “The Healthy Plate”. 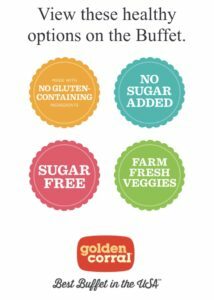 From there you are shown four options: Made with No Gluten-Containing Ingredients, No Sugar Added, Sugar Free, & Farm Fresh Veggies. By clicking any of these buttons, you are taken to the corresponding menu items. Food is listed in alphabetical order by restaurant location (hot buffet, salad buffet) along with serving size & calories. Under certain items, the menu notates if it contains soy, milk, or fish. How awesome is that? It is noted on the Gluten-Containing Ingredients menu that cross-contact may exist & that their kitchen is not a gluten-free environment. All restaurants need menus like this! Something to keep in mind is that not all menu items are available daily and vary by location. Nikki got ribs (the picture of her food was inadvertently deleted, so just use your imagination). She didn’t have any dessert options because all the items had whipped cream on them. A saucer of gummy bears from the ice cream station sufficed. What kind of menus do you wish existed? What options would you add? That’s great that they’re being more open with their ingredients and allergens. I used to eat there all the time with my grandparents, but after celiac entered the picture, that’s no longer an option. I think all restaurants need to move in the detailed nutritional info direction, though. 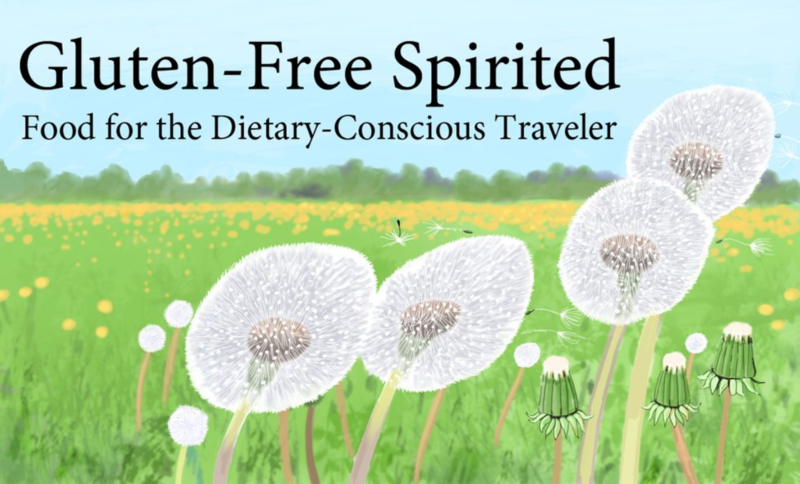 So many people need to avoid allergens and stick to a healthier diet nowadays. I can imagine how hard that was. So many people have different dietary restrictions/concerns now that more detailed menus should be common.